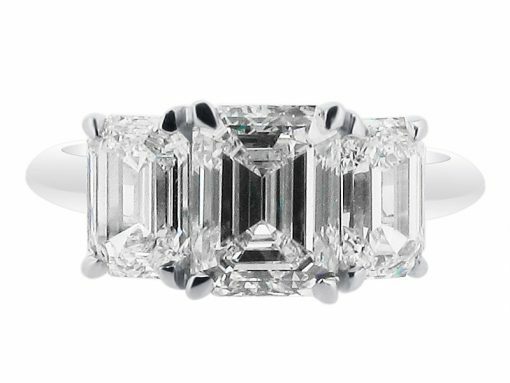 A striking emerald cut diamond trilogy ring featuring a central emerald cut diamond held within four claws and flanked either side by slightly smaller emerald cut diamonds. 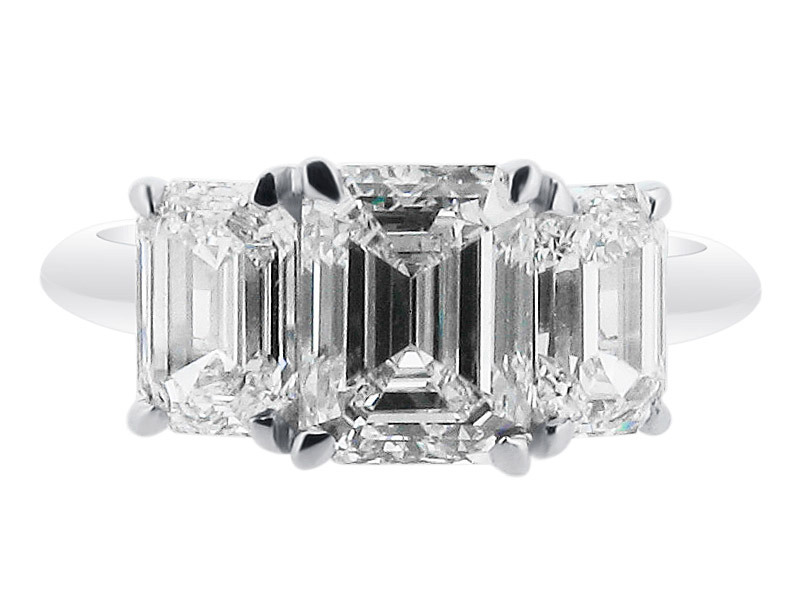 Completed by a simple polished band, this Art Deco style ring is a marriage of elegance and timeless simplicity. Voltaire Diamonds can custom make this ring for you starting from approximately €3,000 and will advise you on the quality of stones. We will source the perfect diamonds for you. We are also happy to make this style with other gemstones such as sapphires, emeralds, and rubies. This ring can be set into 18k yellow, rose, and white gold, and platinum. We would be delighted to meet with you at our offices just off Grafton Street. Voltaire Diamonds aim to provide a comfortable and exciting service for one of the most special purchases in your lifetime.